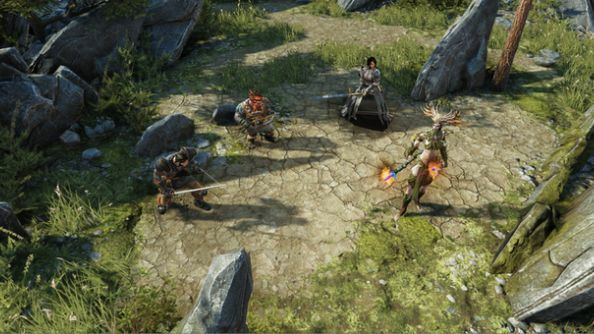 Divinity: Original Sin 2, along with letting you fight hordes of monsters, villains and innocent NPCs, will allow you to get in brawls with your own dear allies. The brand of co-op here has a competitive streak running through it, inspiring betrayal and the murder of one-time companions. 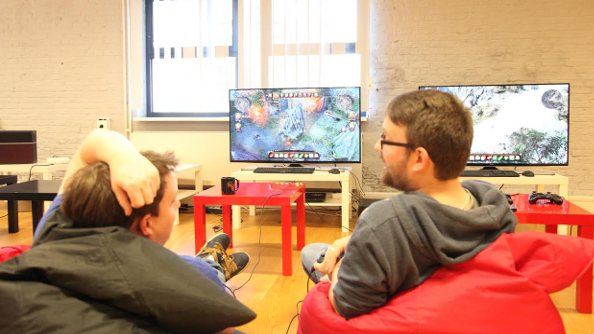 Unexpectedly, after two days of hands-on time with the game, I found that I’d been in more PvP battles than any other kind, not because there’s so much PvP – that really depends on who you’re playing with – but because I kept being drawn back to the arena. If you’ve got a hunger for a good RPG, which not take a look at our list of the best PC RPGs. 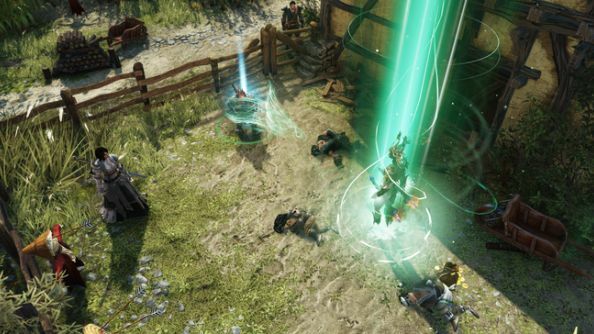 Allies can transform into enemies anywhere, even in the middle of another battle, but in the town that Larian had created for the demo there was also a tournament organiser – a gateway to a more curated PvP battlefield, an arena designed specifically for players to duke it out inside. I spent a lot of time in that dark, crumbling structure, surrounded by monolithic rocks and skeletons. It, like the rest of the demo, is a prototype, and perhaps even more experimental, as Larian weren’t sure if this kind of PvP would work at first. Yet it does, even in its barebones state. The foundation, the combat itself, is likely the main reason. Aside from the graphics upgrade and new spell effects, it’s the change in action points that currently separates the combat in the first Original Sin and the upcoming Enhanced Edition. They’ve been reduced to four, while the action point cost of moving, attacking and using items has been likewise simplified. Rather than streamline combat, in the pejorative sense, it makes turn-based fighting faster paced without sacrificing tactical complexity. Important decisions are still a dime a dozen, and with the addition of skill crafting, which allows you to combine spells to make new ones, like horrible invisible spiders or a gruesome downpour of blood there’s a hard-to-fathom number ways to approach a fight. CEO and creative director Swen Vincke explained that, through spells and skills, they’ve been trying to open up more ways for players to manipulate the pen-and-paper-style ruleset. The team is putting together new spells and, perhaps more importantly, more spell combinations so that players will be able to employ them, both in and out of combat, to leverage more control over the environment. I confess that, and I must apologise to my fellow PCGN writers, I did not leave many battles as the victor. I let us all down. 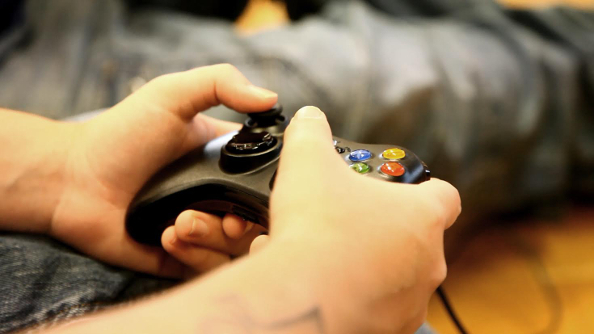 I wish I could come up with some excuse, maybe even blame it on using a controller. Lamentably that was fine, and the game works surprisingly well even with the more condensed control scheme. I only have myself to blame. With each defeat, I dusted myself off and dragged myself back in. Every fight, despite involving the same four characters in the same arena, managed to inspire memorable duels, unexpected comebacks and their fair share of surprises. They all felt improbably different. The spells are what lets the PvP to conjure up so much variety, especially when used a bit creatively. In one tense duel, my character’s health became tethered to its foe’s. The spell meant that any damage she took, my Dwarf took as well. That was unfortunate, as he was only one fireball away from killing her. That’s when the random nature of the arena took over. Before I could take my turn and try to figure out what I could do, because it certainly wouldn’t involve sacrificing my hirsute, stumpy little friend, a skeleton, one of the arena’s NPC enemies, took matters into his own boney hands. He cast a spell, blew up my enemy, killing my Dwarf thanks to the tether. I did manage to get the skeletons to work for me a few times, though. They can be useful tools as well as obstacles. By turning invisible in one fight, like the sneaky little coward that I am, the other player became the skeletons’ sole target. By the time I reached him, shedding my invisibility, it only took one backstab to finish him off. Charming them with bombs, arrows or spells does the job, as well. This does raise the issue of balance, however, particularly in 1v1 fights. When I used the invisibility skill, there wasn’t much my opponent could do apart from almost die at the hands of the undead. There are counters to invisibility, like casting rain, which reveals the location of stealthed characters, but access to that spell isn’t guaranteed. In a fight with two teams of two, this becomes less of an issue because it increases the likelihood of the opposing team having a counter, and the skeletons will still target their non-stealthed teammate. It’s this sort of thing that Larian are still figuring out, and what I played was part of a demo that Larian made in two months, so I was only just seeing the bones of a feature. There remain a lot questions that they’re still asking themselves about the future of the mode. Will it have matchmaking, will it feature of roster of pre-built characters – these will inform what it grows into. Right now, though, it’s just surprisingly good fun. Chaotic, too, with the tide able to turn at any time. You never know if the ground underneath you – as you frantically loot the chest in the centre of the arena, praying for a charm grenade, perhaps, or a healing potion – will transform into oil and then be set ablaze. Maybe skeletons will be teleported right on top of you, too. Or worse, while you’ve been running straight over to the chest, your opponent has snuck up to a corpse, feasted on the body and gained a powerful Source Point to spend on what is, in MOBA terms, an Ultimate. 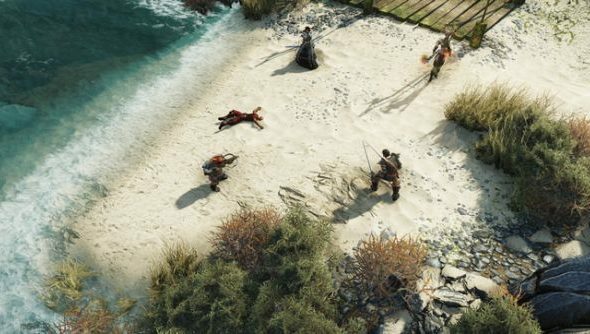 While it’s not clear what the arena PvP will eventually become, what it’s going to look like even a few months from now, I am at least convinced that it can work in Original Sin 2. The core of the game is the co-op RPG, but I still found myself going back for PvP brawls, soaking up beating after beating, and more than a few horrible fiery deaths. Photos are thanks to Benoit Reinier, who has a much nicer camera than the one on my phone.